BMW ranked No. 2 in Japan for customer service. Audi was third, Mercedes fourth and Volvo fifth. TOKYO -- Foreign brands are losing market share in Japan, but as a group they still outclass the far larger local automakers when it comes to customers' satisfaction with the service they receive at dealerships. Import brands on average scored a satisfaction rating of 609 on a 1,000-point scale, beating the domestics' average score of 598, according to J.D. Power and Associates' most recent Japan Customer Service Index Study for Japan. Lexus led the list with 780 points, easily outpacing BMW's runner-up score of 645. It was the third straight year that Lexus ranked No. 1 in the survey, J.D. Power said. Next, in order, were Audi, Mercedes-Benz and Volvo. The annual study, now in its eighth year, measures Japanese customer satisfaction with service performed at dealerships. This year's average score was 596. Sales of import brands in Japan tumbled 23 percent in the first nine months of 2009 from the year-earlier period, while the overall light-vehicle market fell 15 percent. Imports' share of the market slid to 4.0 percent, from 4.4 percent a year earlier. While import brands dominated the top of the study's list, other import brands ranked at the bottom. Peugeot got the lowest rating of 541, while Alfa Romeo was third from the bottom with 570. Domestic minicar specialist Suzuki scored the second-lowest ranking at 561. The J.D. Power study included other import brands, such as Chevrolet, Chrysler, Citroen, Fiat, Jaguar, Land Rover and Porsche. But it did not rank them because of their small sample size. General Motors Co., for example, sold only 8,213 vehicles in Japan during the first nine months of the year. 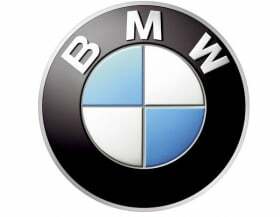 BMW Group sold 29,227.